Tanner joins Hanson Professional Services Inc.
Home/News/Business News/Tanner joins Hanson Professional Services Inc.
Brandon Tanner, engineer intern, recently joined Hanson Professional Services Inc.’s headquarters in Springfield, Ill. He will provide design support and construction observation assistance for airport projects in southern and central Illinois. Tanner previously was a surveying intern for Quality Land Surveying LLC in Reidland, Ky., and Florence & Hutcheson Engineering Inc. in Paducah, Ky. He also was an intern for a joint venture of Massman Construction Co., Traylor Bros. Inc. and Alberici Constructors Inc., for which he established job site horizontal and vertical control points and positioned primary and secondary templates and stay-in-place tower cable anchor boxes for the Stan Musial Veterans Memorial Bridge project in St. Louis. 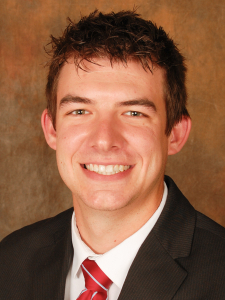 Tanner has an associates degree in pre-engineering from Shawnee Community College and a bachelor’s degree in civil and environmental engineering from Southern Illinois University Carbondale (SIUC). He served as treasurer of the American Society of Civil Engineers’ SIUC chapter, was president of engineering honor society Tau Beta Pi’s Illinois Epsilon chapter and was involved in the SIUC College of Engineering Leadership Development Program.